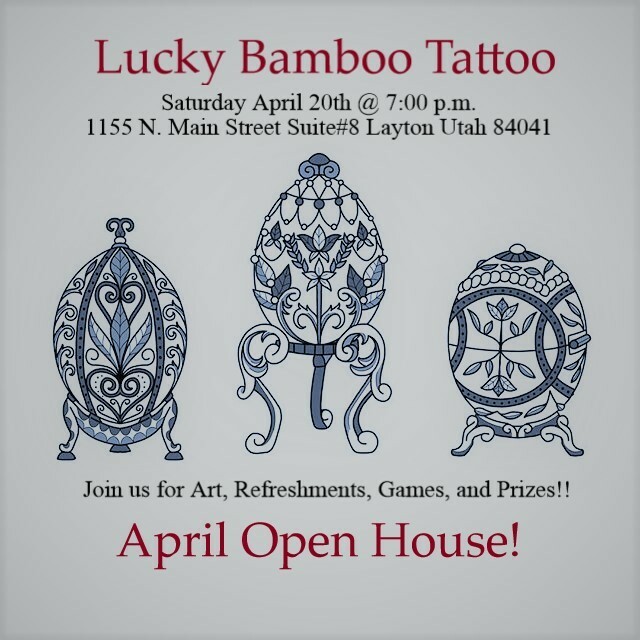 Join Lucky Bamboo Tattoo at our Open House. You can come and see the latest artwork by our very talented artists! Come for Art, Games, and Prizes! Purchase your $5 raffle tickets here! The Open house will be on 04/20/2019 at 7:00 p.m.